The Huber Family preserved an extraordinary set of documents related to Jacques Huber, including letters, photographs, maps, publications, diaries, field notebooks, and typewritten reports. There are 1376 documents now being processed at the Naturhistorisches Museum der Burgergemeinde Bern. Besides this material there are dozens of documents related to the purchase of books and journals, especially from Gustav Fischer (Jena), Libraire George & Co. (Genève), and Rascher & Cie. (Zürich). Documentation related to the printing of the "Arboretum Amazonicum" at Polygraphisches Institut (Zürich) is also of particular interest. The 62 notebooks and one small pouch with handwritten notes of Huber are dated from 1881 to 1913. There are school and university notebooks, records of experiments and studies, diaries and field notes of travels along southern France and the Amazon, phenological notes, lists of cultivated plants and the herbarium of the Goeldi Museum, glossary of popular names of plants, address book, and records of his published works. Among these notebooks, the highlights are the notes on the herborization trips of Charles Flahault around Montpellier; the diary written during Huber’s travel to Brazil (1895); the records of his important expeditions to the Brazilian Guyana (1895-1896), the Marajó Island (1896), the Capim River (1897), the state of Ceará (1897), the Ucayali River (1898-1899), the Low Amazon River (1899), the Amazonian Atlantic Coast and Guamá River (1899-1900), the Marajó Archipelago (1900), the Purus River (1904), and southern Asia (1911-1912). 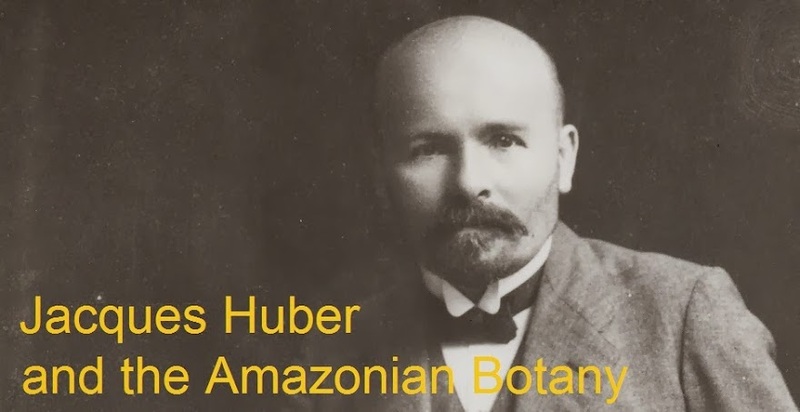 We also highlight the diaries of his experience at the Manaus Rubber Congress (1910), the Turin International Exhibition (1911), and the New York Rubber Exhibition and Conference (1912). The list below was organized from the inventory of Huber's papers. It includes all the correspondents of Huber in alphabetic order. The names/places in red are not well identified.